Club Penguin Times Issue #268: Festive Fashion! Hey everyone! Things were released late this week, so I’m bringing you the newspaper and catalog today! Ah right! I forgot, the EPF has a new postcard layout! The new clothing catalog is full of Christmas clothes for you to wear! Santa hats anybody? Hello everyone! 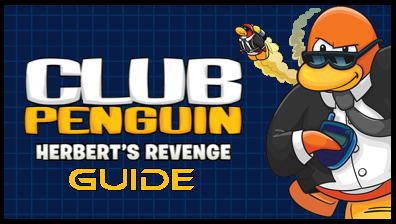 I’ll be getting to Card-Jitsu Water in a moment, but first I thought I would post about the Club Penguin Times! You can begin your Water Ninja training now! Thanks to everyone who helped, the Water Dojo is open and looking great! News Flash! New party stamps will be around for a short time! NEW Club Penguin Times Issue #266! The articles are easier to post now too! Like the Card-Jitsu Water article! Now the full article with the picture! Horray! Latest newsflash: Sensei will be in the Ninja Hideout and Water Dojo this week! So, so? What do you think of the new newspaper? Better or worse than the old one? Club Penguin Times Issue #265: Unexpected Rain Shower! Hey everyone! It’s raining on Club Penguin, wouldn’t you believe it! It’s sure causing quite a stir! Sensei sure seems keen about the storm, although his words somewhat don’t make sense.. I know he’s talking about Card-Jitsu Water, but couldn’t he have used a better choice of words? *shrugs* Oh well, you know Sensei. Starting next week, the newspaper will change drastically. I don’t know quite how, but according to Aunt Arctic, it’ll be printed on a longer page. I’m guessing one big page that unwinds. Have you found any proof pointing to Card-Jitsu Water? Where do you think the dojo will be? Comment below and let me know! Hey everyone, although the Halloween Party’s over, the storm is still lingering over the island. Kinda depressing without the spooky music.. There are going to be some new outfits today that’ll help keep the island cheery and.. if it rains, which I doubt it will, dry! Actually.. I do think it’s possible. I mean.. with *coughwaterjitsucough* coming, I wouldn’t be surprised if it flooded..
Gary and other scientists are baffled as to the storm’s duration. No one knows how long it’ll last, and Gary’s too “busy” to do more research. Hehehe.. He looks funny with that on his head..
Congratulations to the second batch of the Halloween Igloo Contest winners! Aww.. I didn’t win.. I wanted to though. Here was my igloo this year. Do you think it’ll flood? Comment below and let me know your thoughts! Club Penguin Times Issue #263: Halloween Party! Hey everyone! Halloween’s only 3 days away, although the Halloween party is supposed to start today on CP! Here’s a list of highlights on the island you won’t want to miss! Congratulations to the first batch of Halloween Contest winners! Finally events! Gosh this newspaper has a lot in it this week! That’s all for the newspaper!